What Does “Family Owned” Mean to the Hughes and Burrus Families within the Seed Business? 1 Does your current seed company focus on seed quality? 2. Is your current seed company dedicated to you as the customer and your overall experience with their products? 3. Does the owner of your current seed company live within a few yards or miles of his company’s production seed fields? 4. Have you met or are you able to call the owner of your current seed company? 5. Is the owner of your current seed company “crazy passionate” about his company and has he/she taken part in every aspect of his/her business? 6. Was your current salesman or account manager critically hired based on his integrity? 7. Is your current seed salesman or account manager able to voice his opinion and help guide his seed company in the right direction? Recently, Dave Hughes visited with the Burrus and Hughes Sales staff and asked these, very questions. He also shared the history of how the Hughes Seed Company came to be. 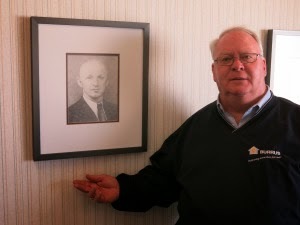 Earl Hughes Sr., Dave’s grandfather, decided that the Hughes Dairy farm that was established in 1846, located in McHenry County, should “branch out” in the seed business in the late 1920’s. At this time, the primary crops on the Hughes farm were barley and oats, but the Hughes family eventually chose to place not only their focus, but also passion into a family seed corn business. Dave Hughes father, (also Earl Hughes), spent his entire career immersed in the production and sale of seed corn. Dave and his brothers, Don and Jim, soon became “seed corn brats” and also participated in every possible job (planting, harvesting, conditioning, loading trucks, delivering seed, and even sales calls) that you can imagine, required by a seed corn business. The old dairy barn on the Hughes farm became the main office for the Hughes Seed Company. Eventually, each of the brother’s passion led them to be the leader of different areas within the family business. Dave Hughes strives to be the “ProLead of Seed” and is the general manager of their family seed corn business. His brother Don Hughes, operates the seed facility and production. His other brother, Jim Hughes, is the research coordinator and participates in product evaluation and development. In 2009, after a very long series of meetings, the Hughes family decided to join the Burrus family in their seed corn business endeavors. The third generation Hughes and, the now third and fourth generations, of Burrus seedsmen recognized that each of their family members shared the same values within the seed industry. Both seed corn families wanted to have the highest seed quality, best choice of products, as well as high levels of customer service, which is vital in today’s seed market. It was also evident that each of the Hughes and Burrus family members possessed a very, unique skill set. When these family members joined together, they created an incredible team that was unique in the ever changing seed Industry. 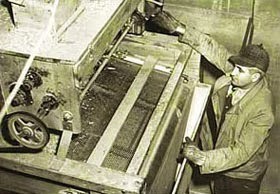 Hughes Seed became the “Northern Outpost” of the Burrus army. 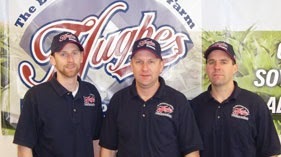 The Hughes team based in Woodstock, IL, markets seed in an area from about one hour north of Madison, WI, and South to the I-80/Illinois river line in Illinois (Northern Illinois and Southern Wisconsin). Why does this matter? Both the Hughes and Burrus family members wake up every morning wanting nothing else, but to sell corn, soybeans, and alfalfa and outcompete other seed corn companies. How many other companies have this amount of passion and level of family incorporated within their business? Not Many! 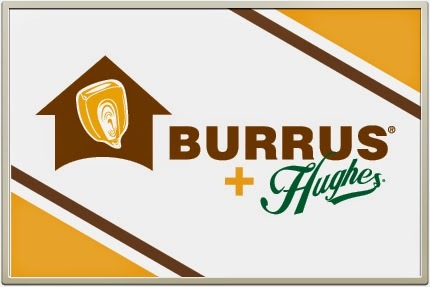 Together the Burrus and Hughes families know their name is on the bags of the seed that they sell and with that comes not only pride, but a responsibility to provide the up most quality and value for their customers. In order to provide quality and value, they truly believe that going the "extra mile" by practicing interplanted corn production; using hooded sprayers; testing seed in unique, local environments (representing “real world environments); providing the best seed treatments; and direct collaboration between owners and employees can truly set them apart from the competition within the seed industry. 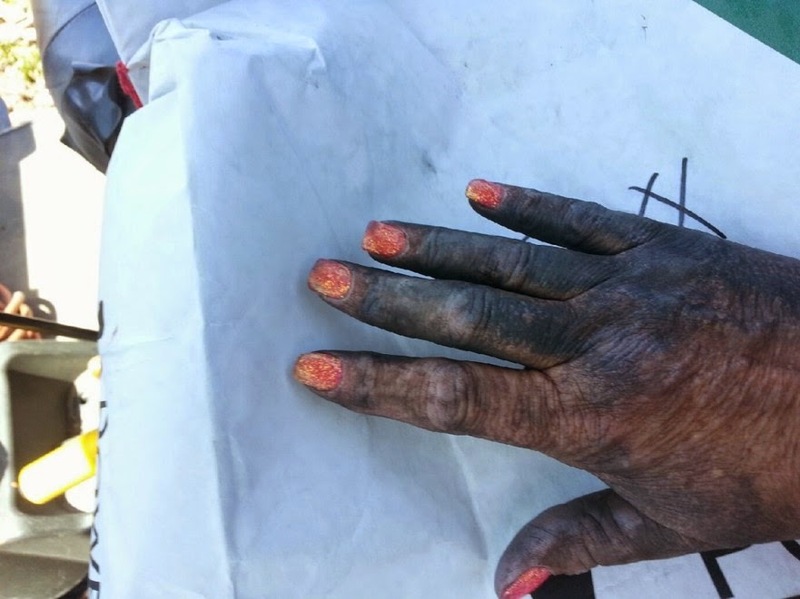 Gayle Casner of Carrolton MO, shows what her hand looks like when handling graphite in the planter. She prefers the Bayer Fluency Powder. In 2014 Bayer conducted another demo program with their new fluency agent. The results were extremely positive. The new Bayer fluency lubricant is designed to reduce dust off with pneumatic planters that have typically used either graphite or talc as lubricants to reduce friction and improve uniformity of planting. The use of planter lubricants by growers in vacuum planters is a standard recommendation by planter manufacturers. Talc, graphite, and talc/graphite combination products reduce seed-to-seed friction and improve uniformity of planting. The role of planter lubricants at planting time and its effects on the amount of dust released from the planter exhaust has been raised as a possible contributor to exposure to bees. As a result of this concern, Bayer CropScience began looking at a possible alternative that would reduce the amount of dust. With more than 25 years of supporting honey bee health and the vital role of bees in agriculture, Bayer CropSciences began looking for alternatives that would reduce dust emitted from vacuum planters. What is Fluency agent? It is a polyethylene wax lubricant replacement for talc and graphite. The Fluency product is easy to use and is a non-abrasive white powder. It can be used on all makes and models of planters. It had no impact on planter accuracy. In addition, it reduced seed coat abrasion and maintained the integrity of the seed coat. This product can replace either graphite or talc on seed corn or soybeans. The tests show a 90% reduction in total dust with Fluency agent vs. talc and 65% percent reduction in active ingredient with Fluency agent vs. talc. We tested it on many planters with various seed delivery systems in 2013 and 2014. 99% of growers responding noted that differences in the condition of their planter mechanism such as wear on disc/plate, etc. was equal to or better than their current lubricant. 92% of growers said that planter cleanup was equal to or easier than with their current lubricant. The product works best with 1/8 cup of lubricant per seed unit. It is highly recommended to be stirred into the seed rather than just some thrown in the seed box and left for gravity to uniformly distribute it throughout the seed. When filling large central- fill hoppers, growers should add the Fluency agent to seed as it is filling the hopper to assure even distribution. There is actually an alert on the lid to draw attention to use rate for the product. This product is amazingly slick and will work on seed corn and soybeans replacing either talc or graphite. We feel sure you will be hearing more about this product in the years ahead as it helps reduce the risk of potential exposure to non-target insects. Management is considering this as an option to buy from Burrus Account Managers or dealers yet before spring.